There is no adventure too great or too small for this troop, and that includes hiking into the Swiss Alps. 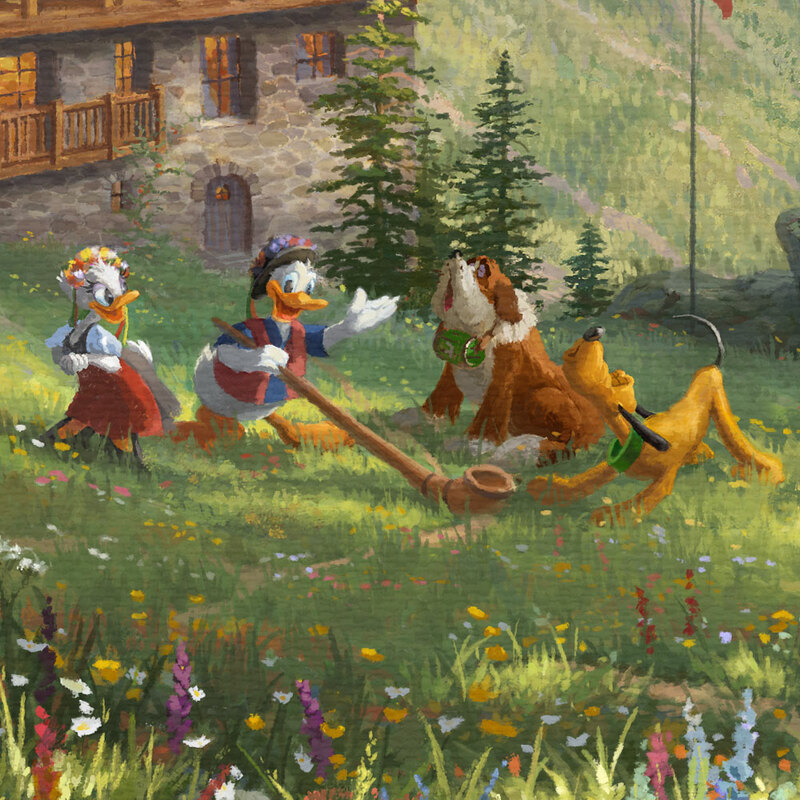 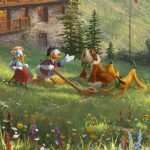 As you can clearly see, Mickey, Minnie, and Daisey are all wearing traditional Swiss attire, but Donald has also found an alphorn, causing Pluto and his new friend, a mountain rescue dog, to start singing along. 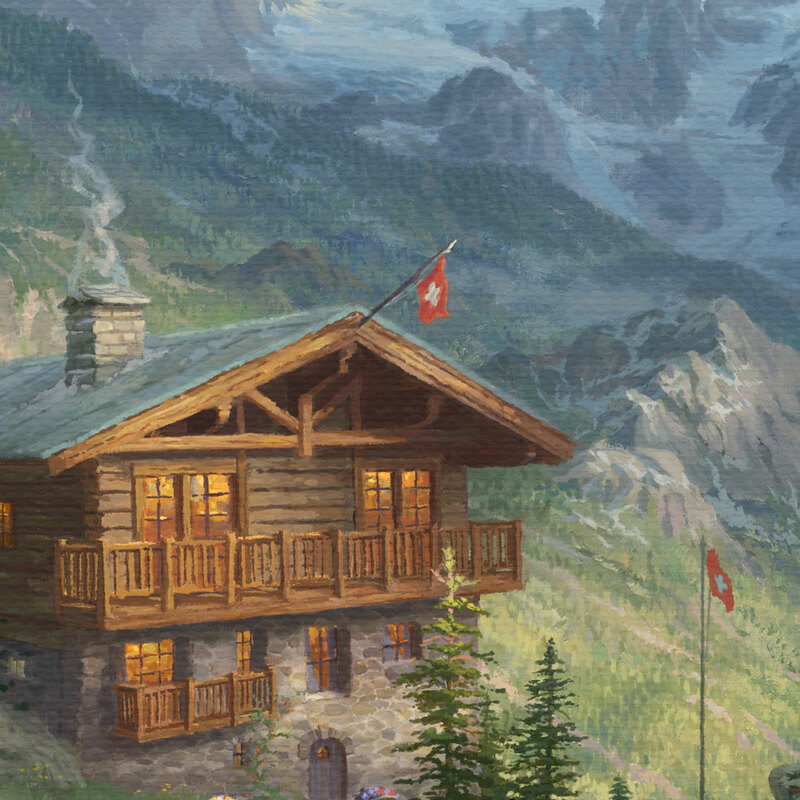 Their alpine bungalow offers a front row seat to one of the most inspiring mountains in the world, the Matterhorn. 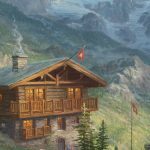 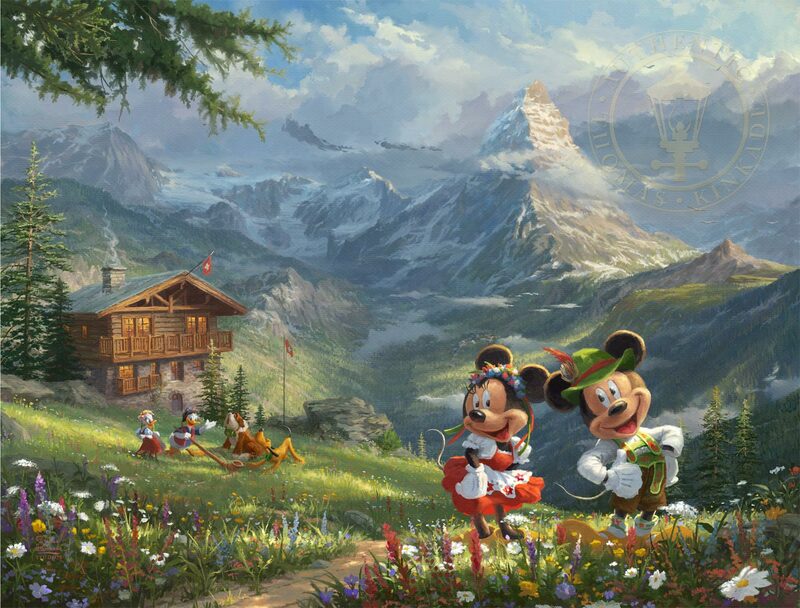 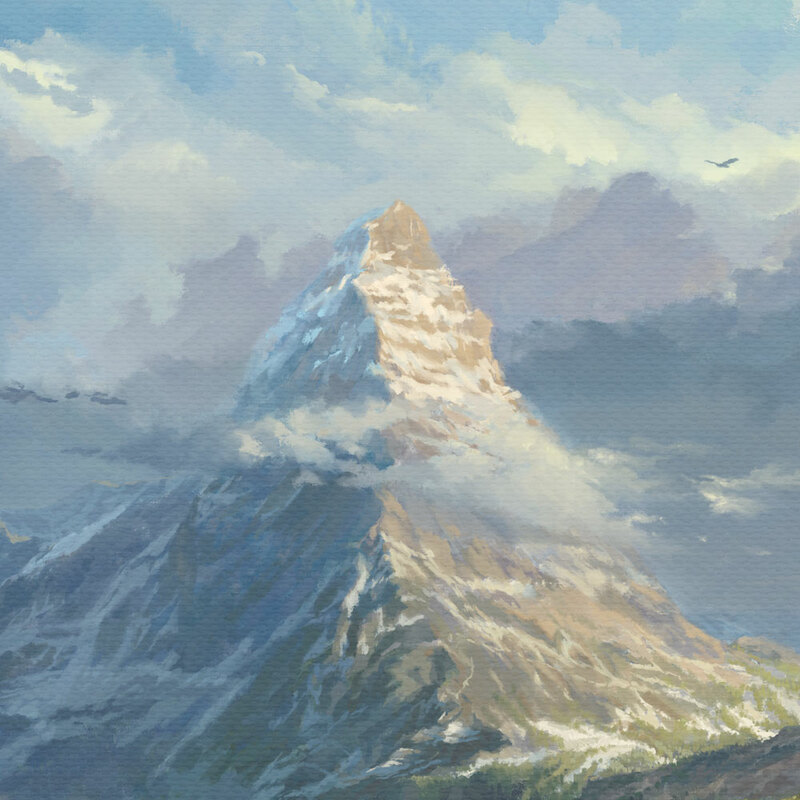 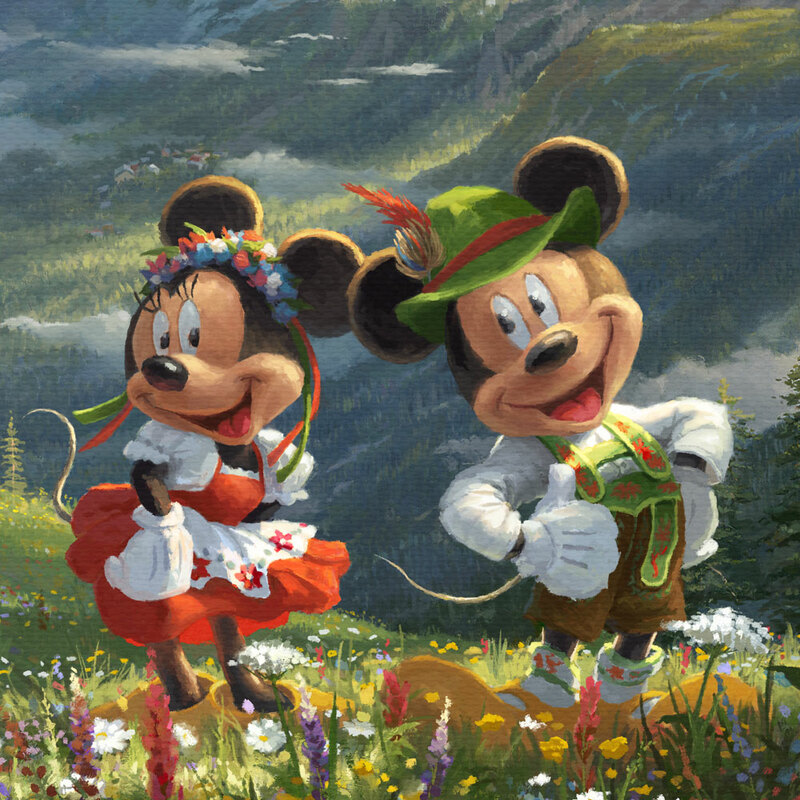 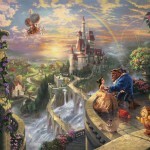 Mickey and Minnie in the Swiss Alps incorporates, not only your favorite Disney characters but also the awe-inspiring realism of notable landmarks, resulting in a beautiful piece of art. 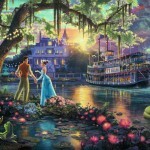 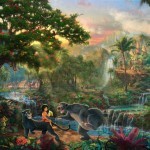 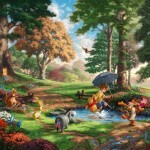 Choose an option… 12" x 16"18" x 24"
12" x 16" Image Size. 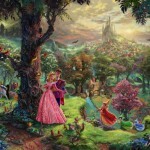 Your framing choice will add between 6 to 20 inches to this dimension.